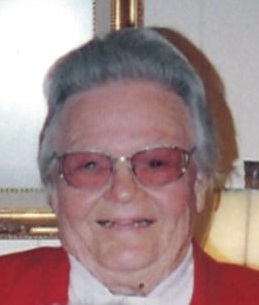 Nobles Funeral Home and Crematory announces the funeral services for Mrs. Johnnie L. Craven, age 90, who passed away Friday, March 22, 2019 at The Pavilion under the care of Comfort Care Hospice. She was a native of Appling County living in Lancaster, PA for many years before returning to Appling County where she spent the past 30 years. Mrs. Craven was a retired commercial painter, a jack of all trades and a member of Ten Mile Creek Baptist Church. She was preceded in death by her son, Robby Tyre and parents, Johnnie and Neta Thomas Craven. Survivors include her grandson, Clay Tyre; great grandson, Logan Tyre both of Lancaster, PA; one sister, Merle Cockfield and husband Tim of Jesup and a host of nieces and nephews. Funeral services will be held Sunday, March 24, 2019 at 3 p.m. from the Ten Mile Creek Baptist Church with the Reverend Tommy Daniels, Reverend Jim Snell and a eulogy given by Chris Taylor. Interment will follow in the Ten Mile Creek Baptist Church Cemetery. Visitation will be held one hour prior to services on Sunday. Active Pallbearers will be Dean Craven, Tommy Craven, Bruce Craven, Kelly Carter, Jody Carter and Chris Taylor. In lieu of flowers remembrances may be made to Called to Love, P.O. Box 725 Baxley GA 31515 or Comfort Care Hospice, 88 Heritage St. Baxley GA 31513. The family will assemble at the home of Pat and Chris Taylor at 992 Craven Road, Baxley. 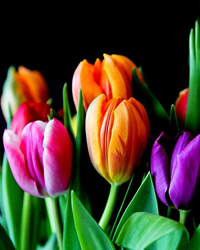 Nobles Funeral Home and Crematory is honored to serve the family of Mrs. Johnnie L. Craven.